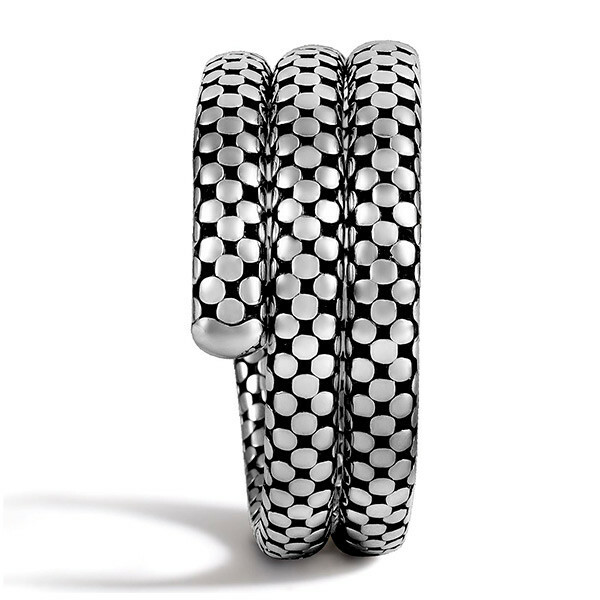 This double coil Dot bracelet from the John Hardy Dot collection is the perfect accessory for a night out! 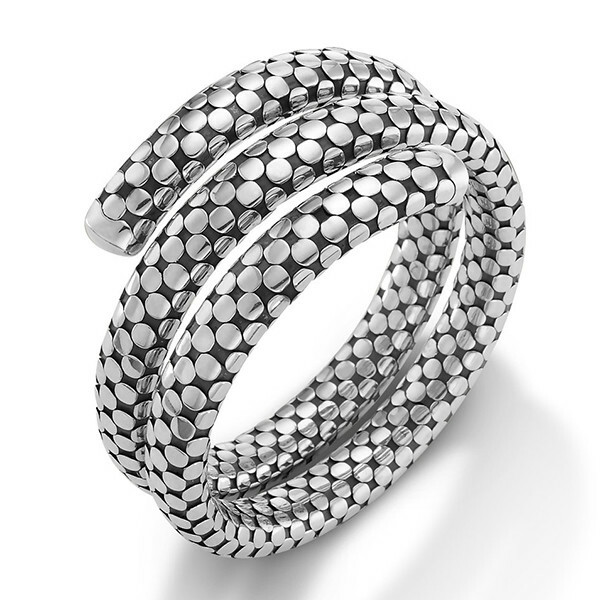 Sterling silver dots rest on darkened sterling silver creating a very dramatic effect. 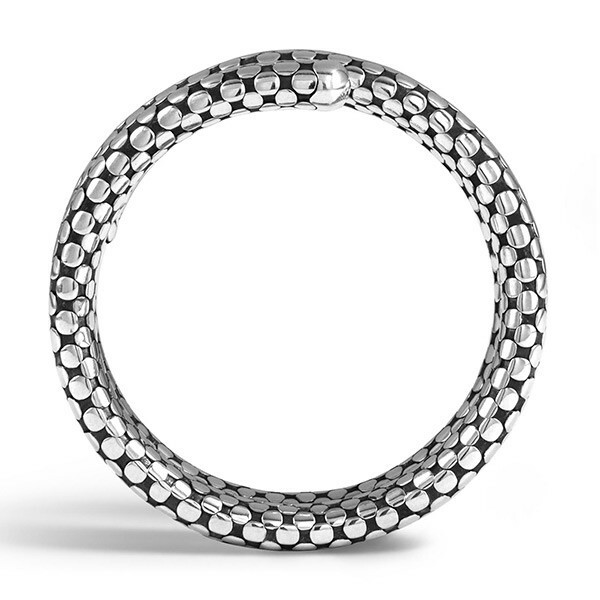 There is a springy titanium core which makes this bracelet extremely comfortable to wear. 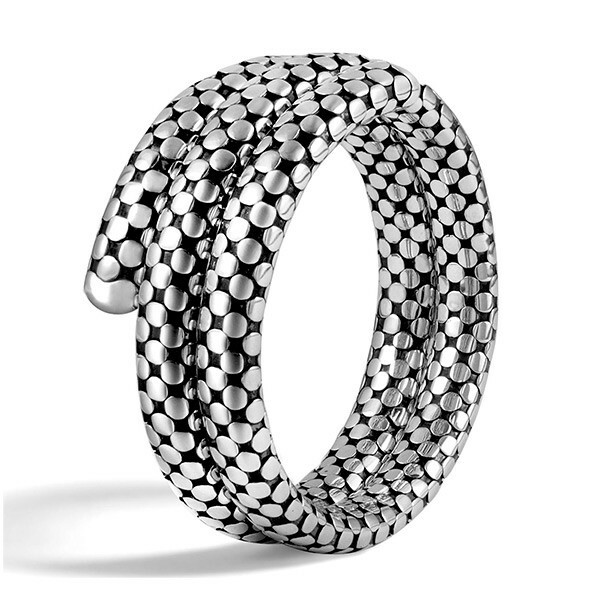 You can't go wrong when you combine the high fashion and comfort of this John Hardy bracelet!